Lijiang old town from a bar we stopped at while walking around one afternoon. Lijiang old town is very touristy but has interesting architecture and a great place to spend a couple of days. 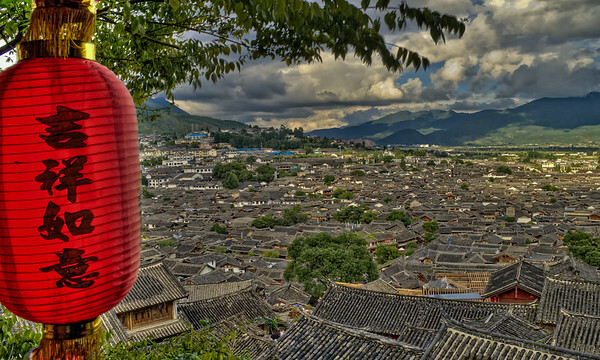 However, if you are looking for something more authentic it is best to explore the small towns and villages around Lijiang.